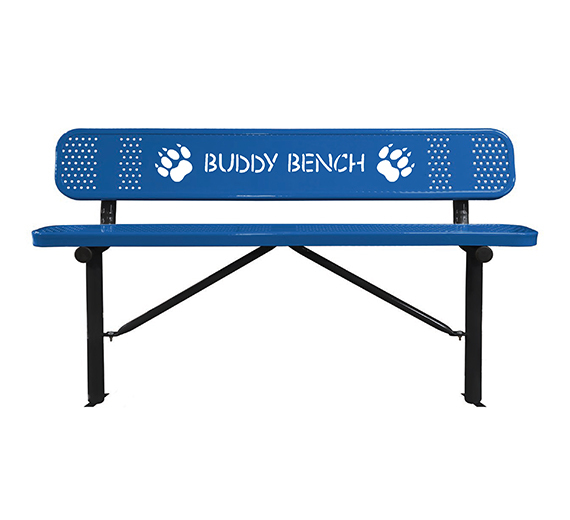 Start off your Buddy Bench customization but choosing from our 3 most popular benches. Each bench comes in standard sizes of 4′, 6′, or 8′ length, and all include a graffiti-proof thermoplastic finish guaranteed for 5 years. 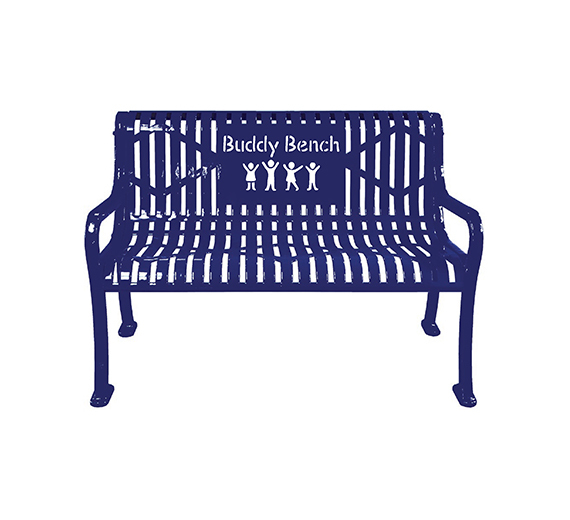 This personalized perforated bench has our pattern of ½” holes combined with any logo or message to further enhance your Buddy Bench. This bench can be mounted permanently in grass with in-ground J-rods (provided), or in concrete with knock-in anchors. This is the bench that started it all. The personalized diamond pattern bench was our first product that featured custom wording and logos manufactured into the bench. It’s still one of our most popular products. They are coated with your choice of our 16 colors of lustrous thermoplastic. Our manufacturing process ensures that the coating on these benches is drip free. 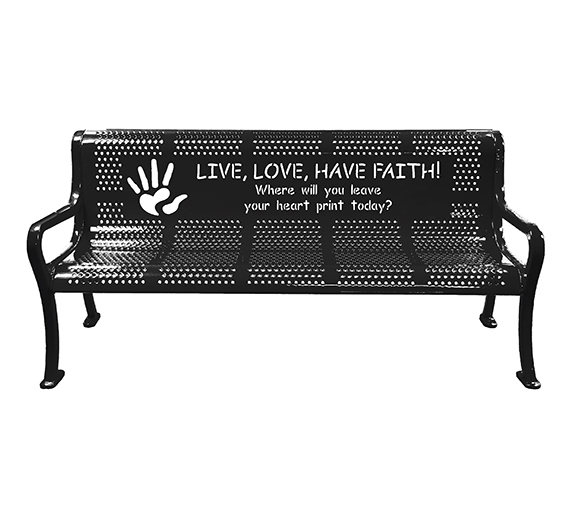 These benches are an elegant touch for your Buddy Bench in parks, schools, businesses, or places of worship. This is the bench that started it all. The personalized diamond pattern bench was our first product that featured custom wording and logos manufactured into the bench. It’s still one of our most popular products. They are coated with your choice of our 16 colors of lustrous thermoplastic. Our manufacturing process ensures that the coating on these benches is drip free. These benches are an elegant touch for your Buddy Bench in parks, schools, or places of worship. Be sure to choose this style with or without arm rests. Our perforated Buddy Bench features a pattern of ½” holes for an urban, modern style which can also be used as a memorial bench. Custom words and logos are manufactured right into the metal of the bench back. The solid, cast iron legs feature mounting holes for permanent installation on concrete surfaces.